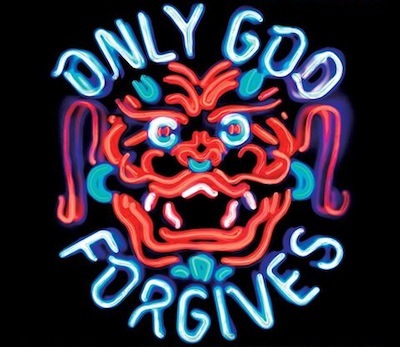 Only God Forgives, directed by Nicolas Winding Refn, stars Ryan Gosling as an American drug dealer running a boxing club in Bangkok. (Lost In Thailand and other films have also been set here.) Refn and Gosling previously collaborated, more successfully, on Drive. Gosling's brother murders a Thai prostitute, and her father kills him in revenge. The father then has his hand cut off by a corrupt Thai cop wielding a sword. Gosling's mother arrives in Bangkok, and asks Gosling to avenge his brother's death. Tougher than Gosling's conflicted, Oedipal character, she dominates each of her scenes, largely because everyone else is so blank. The film's cinematography, by Larry Smith, is outstanding, with its film noir shadows and circle-of-hell red lighting. Smith worked with Stanley Kubrick on several films, and Only God Forgives is very Kubrickian with its slow zooms and symmetrical compositions. In another similarity with Kubrick, the characters in Only God Forgives are unrealistic and impassive; they sit perfectly still or walk slowly in long, silent sequences punctuated only by loud footsteps. Strange, stilted karaoke scenes add to the sense of unreality. Gosling's character is potentially interesting (a drug-dealing gangster with a conscience), though his moral ambiguities are never explored. There is a single chase sequence, and occasional bursts of graphic, ritualistic violence, as the cop tortures everyone connected with the prostitute's death, though the film's inertia and lack of suspense make it unsuccessful as a thriller.